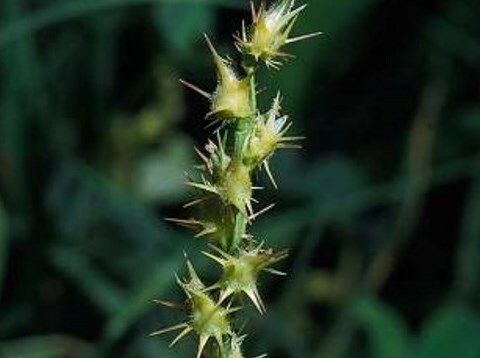 Cenchrus longispinus (mat sandbur) is an annual grass (family Poaceae) that can grow up to 2 feet tall and is found in the Central Valley, Modoc Plateau area, and the south coast and desert ranges of California. It is native to the central and eastern United States. It favors grasslands and dunes. It reproduces by seeds which disperse by clinging to animals, shoes, clothing, machinery and floating on water.